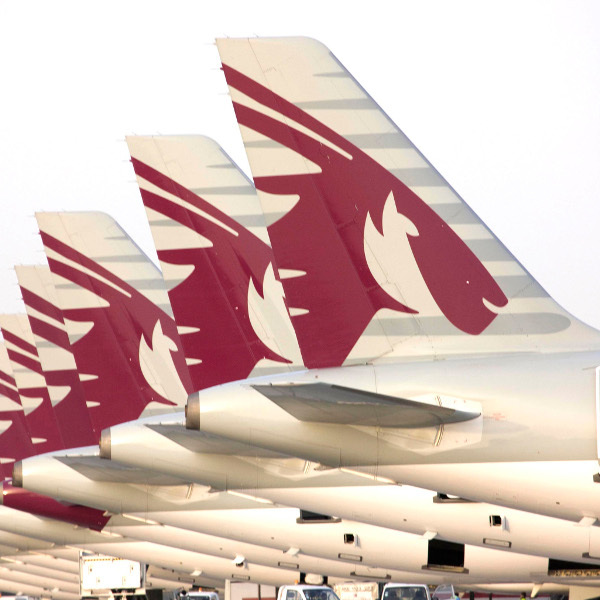 Founded in just 1993, Qatar Airways is the fastest growing airline in the history of commercial aviation. Voted 'Best Airline in the Middle East', you can experience Qatar's world-class hospitality and customer service, tailor-made to suit your needs. Qatar's world-class status has earned them numerous awards. 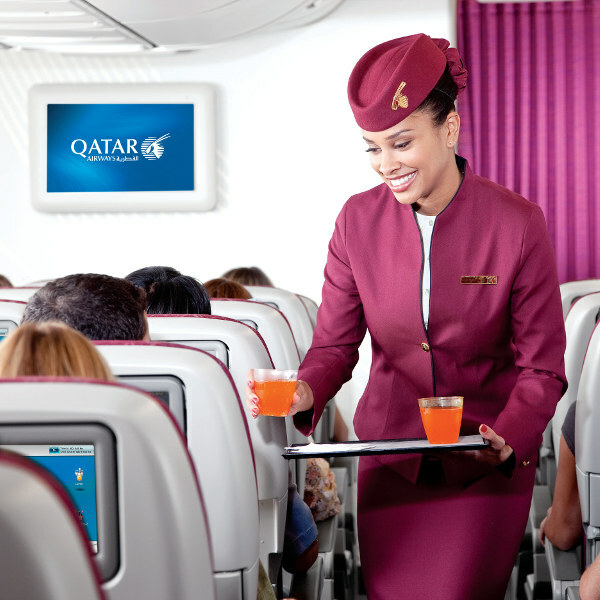 From spacious Business Class cabins to dine-on-demand 5-star dishes, travel in style with Qatar. There is an increased use of air travel around the world, and due to this, the travel industry has become one of the most competitive industries to operate in. Qatar Airways set to differentiate themselves by maintaining and growing their position in the marketplace, by providing their customers with high-quality service and ever-increasing efficiency. Their main goal is to be the best airline in the world and reach the pinnacle of the airline industry for outstanding in-flight service, superior on-board products, and operational excellence. Just in 2017 alone, Qatar won a number of awards at the prestigious Business Traveller Awards, held in London. These awards included 'Best Airline in the Middle East', 'Best Long Haul Airline' and 'Best Business Class'. Qatar has recently partnered with Arik Air to get you to your international destination effortlessly. Travellers residing outside of Lagos wishing to travel with Qatar may now book their combined ticket on Arik Air and connect in Lagos to any of Qatar's 150 destinations across the world. 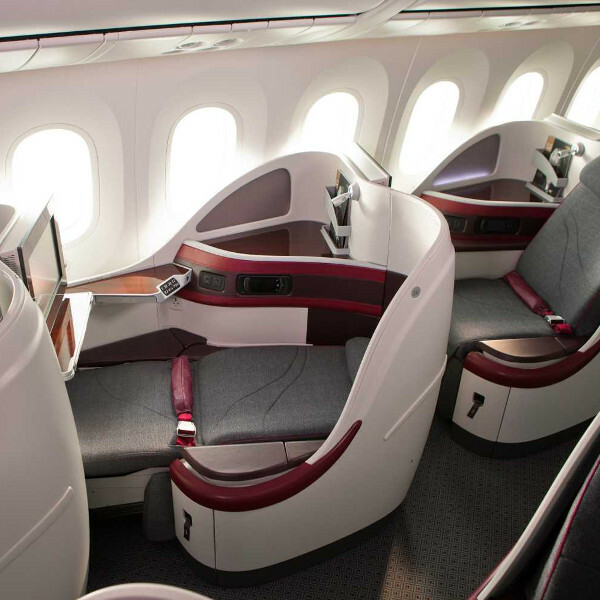 Book Qatar Airways flights to Doha, London, Bangkok, Houston and other exciting places! Popular flight routes with Qatar Airways are from Lagos to New York, Lagos to London, Lagos to Manchester, Lagos to Washington and Lagos to Dublin. Baggage allowance may vary depending on the cabin class and route you are flying. Passengers can find baggage allowance regulations printed on their tickets. Economy class has a range of between 23 - 45kgs for checked luggage depending on the destination. Business class has a range of between 32 - 65kgs for checked luggage depending on the destination. First class has a range of between 32 - 65kgs for checked luggage depending on the destination. Two pieces, not to exceed a total weight of 15kg. One piece, not to exceed 7kg. Passengers are allowed to check in to flights 24 hours prior to departure of flights to the U.S.
Save time at the airport and enhance your experience by checking in online. For all other flights online, check-in is available between 48 hours to 90 minutes prior to flight departure. Qatar Airways online check-in is not available for passengers departing from Baghdad, Basra, Mashhad, Salalah or Shiraz. Qatar Airways mobile application is available for smart phone users looking to simplify processes with each travelling journey. Check-in opens 3 hours prior to departure and closes 1 hour before departure, but passengers are required to arrive at the airport 3 hours prior to departure. Business class passengers have the best experience in the air, with their Business Class cabin combining comfort and superb service with technology. • Movies, TV sitcoms, games and music. Check in with ease by taking advantage of the online self-service tool offered by Qatar, ''My Q-Tag''. Available to passengers flying in/out of Doha, The Q-Tag is a baggage tag which you can print at home. Bring the printed tag and your baggage to the “Web Check-In Bag Drop” counter and the friendly customer service representatives will assist you.